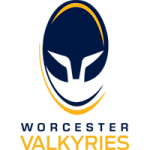 Worcester Valkyries slipped to defeat and narrowly missed out on a try bonus point in Round Five of Tyrrells Premier 15s at Sixways on Saturday. Meg Varley, Zoe Bennion and Charlie Wilcock scored tries for the Valkyries but the fourth one eluded Roy Davies’ side. Harlequins scored 11 tries with Lucy Pecker, Leanne Riley (2), Jade Mullen, Shaunagh Brown (2), Leah Lyons, Heather Cowell, Emily Scott, Kristine Sommer and Sarah Cornforth getting on the scoresheet. Four of those tries came in the first 15 minutes with Pecker touching down in the corner and Riley’s brace sandwiching one from Mullen. Valkyries responded quickly to get themselves back in the game, however. A tapped penalty took the visitors by surprise as Valkyries advanced up the pitch at great pace. Varley received the ball just inside the 22 before evading a couple of tackles and completing the flowing attack by forcing her way over the tryline. The visitors, however, regained control after Thea Thompson was yellow-carded for a deliberate knock-on adding two quickfire tries through Brown and Lyons before the break. Harlequins started the second-half as they had the first with another couple of tries. Brown went over for her second before Cowell was found free on the wing and finished in the corner. Valkyries recovered well and put the visitors under pressure from the restart and forced a knock-on. From the resulting scrum, Bennion picked and went and was too strong to be stopped from crashing over the tryline. 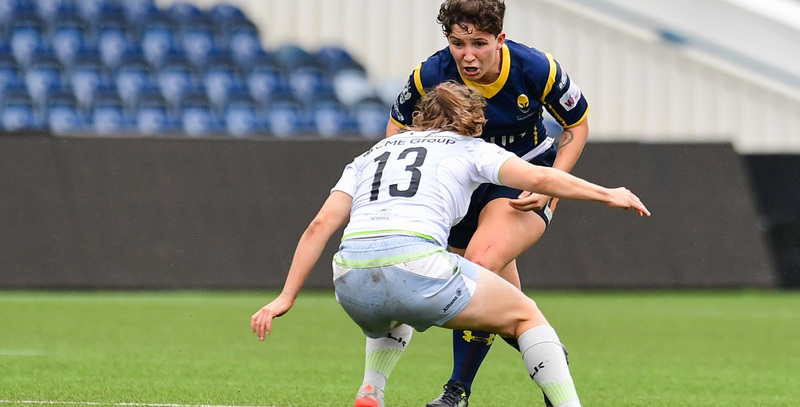 With the Sixways crowd behind them, Valkyries began to build some momentum and were soon on the scoresheet again. From an almost identical scrum, Bennion emerged from the back before offloading to Wilcock who battled her way across the whitewash. This period gave Davies’ side great encouragement, but Quins managed to take control of game back as Scott slipped through the onrushing Valkyries defence to touch down under the posts. With the game nearing its end, the away side closed the scoring with another double as Kristine Sommer and Sarah Cornforth rounded off a couple of quick breaks. Valkyries’ next fixture sees them make the short trip to Hartpury College on Saturday October 20 where they will face Gloucester-Hartpury (kick-off 4:30pm). A Valkyries Development Team took to the Sixways pitch to face a Harlequins Ladies Development Team following the first-team’s match. Harlequins completed a double with a 40-12 win but Valkyries Development Team encouraged and led at half-time through tries from Maddie Escott and Rachel Marrien. Valkyries | 15 Vicky Laflin, 14 Jada Bailey, 13 Carys Cox, 12 Meg Varley, 11 Thea Thompson, 10 Vicky Foxwell, 9 Sian Moore; 1 Akina Gondwe, 2 Lark Davies (C), 3 Milly O’Donnell, 4 Stacey Maguire, 5 Tilly Churm, 6 Lyndsay O’Donnell, 7 Charlie Wilcock, 8 Zoe Bennion.